VIENNA, June 4. /TASS/. Russia has created good conditions for the next steps to develop the economy, Russian President Vladimir Putin said in an interview with Austria’s ORF broadcasting corporation in the run-up to his visit to Austria. "We have created very good conditions for the next steps to develop the economy, and we will definitely do it," Putin said. 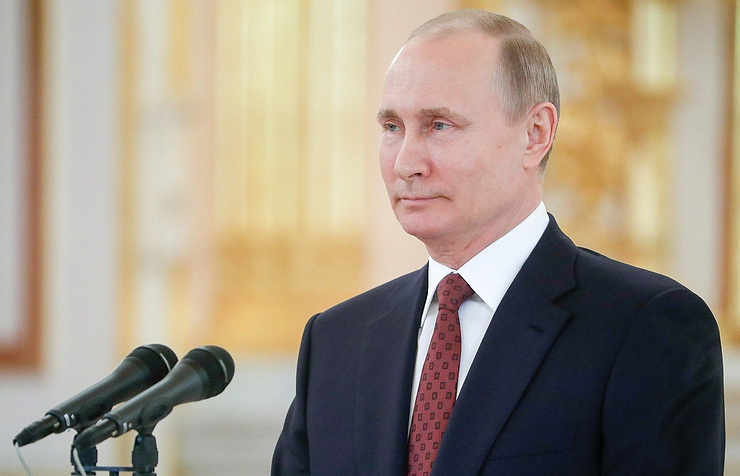 Answering a question about the current state of the Russian economy compared to 2012, Putin noted, "Since 2012, Russia has gone through a number of very difficult economic challenges, and this was due not only to so-called sanctions and restrictions. This is primarily due to a serious two-fold drop in prices for our traditional exports. This has affected budget revenues, which means, ultimately, incomes of citizens," Putin said. At the same time, according to the president, in these conditions the authorities "did the most important thing - they preserved and strengthened macroeconomic stability in the country." Putin agreed that since 2012 "the level of wages has slightly fallen; population incomes have slightly declined." "But if we look at the beginning of our path, from 200 to the present, we have halved the number of people living below the poverty line. From 2012 to 2016-2017, this figure slightly changed in an unfavorable direction for us, but now everything is once again evened out," he pointed out. Putin also recalled that, by the end of 2015, inflation was almost 13%, and "now inflation is at the record low for the entire modern history of Russia - 2.5%." In addition, the president noted, the gold and foreign currency reserves are growing, "steady economic growth has become apparent after the decline, so far it is modest - 1.5%, but investments in fixed assets reach 4.4%, which means that further growth is guaranteed." "Foreign direct investments nearly doubled, and, as I have already said, the Central Bank's gold and foreign exchange reserves and the government reserves are growing," Putin added.